Feminism carries a certain bad reputation with it, and the church community feels no different. 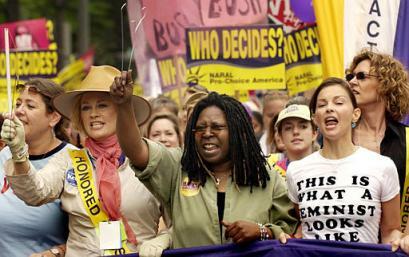 When feminism first emerged as a social movement in the 1960’s, it came with displays of anger and resistance. The term feminist quickly became connotative with the idea of angry women or of women who wanted to emasculate men. Although one can find these types of personalities within feminism, this is not the official or academic representation of feminism. The truth about feminism that needs to be embraced is that feminism in its true form is the same thing as masculism and humanism: they are simply movements that promote equality, rights and dignity between men and women. Feminism in its truest form simply promotes equal treatment of all people regardless of gender. It calls for the ethic of assessing people based on their qualities that are not related to their gender, such as their intelligence, altruism, talents and inherent strengths. It calls for society’s evolution out of the use of gender roles so that every person can feel as free as they need to live their life organically instead of to suit a preconceived role. The patterns of history of most global cultures favor patriarchy, and feminism brings awareness to why patriarchal systems are incorrect. Feminism within the Christian church is a complicated matter because the bible does unarguably assign some basic gender roles. Apart from the obvious heterosexual stance that the bible takes, it also discusses a woman’s need to feel valued by her husband and a man’s need to feel respected by his wife. With feminism aiming to break down gender roles such as these, it may seem that feminism has no place in the church, but this is not the case. There are many ways that the bible supports the principles of gender equality, which can be observed in verses such as “do unto others as you would have them do unto you,” as well as the depiction of Godly women being those who took active roles in their faith and within ministry rather than deferring to men. Society at large has had a historically difficult time determining appropriate gender roles. History would show that societal constructs tend to favor men. Many people actually use the passages in the bible to try to validate why men should have dominance over women. They site verses like “Wives, submit to your husbands” and women as vain to illustrate this notion. However, anyone with an education in theology and biblical scholarship knows these notions are ridiculous. One only has to look to the way Jesus regarded women to know where their value truly lies. The bible is full of interactions with and conversations about women that Jesus had, and they do not indicate any type of misogyny whatsoever. The second most famous woman in the bible, second only to Jesus’ mother Mary, was Mary Magdalene, who was a prostitute. Mary Magdelene was one of Jesus’ closest confidants. She traveled with Jesus to receive and participate in his ministry. Jesus showed her kindness when members of her society did not, and because of that, she became a God fearing woman and respected his teachings as truth. Jesus loved and respected Mary Magdalene, and treated her as one of his disciples. The Syrian woman at the well who Jesus spoke to is another example of what Jesus thought of woman. It was breaking severely from Jewish tradition for Jesus to speak to her at all. Jewish tradition dictated that men and women should not speak in venues such as drawing water from wells, but for a Jewish man to speak to a Syrian woman was particularly unacceptable as they came from opposing cultures. Jesus did not abide by the gender roles of Jewish culture, and exemplified graciousness and respect toward women in doing so. Another example of Jesus’ respect for women can be seen in his friendship with the sisters Mary and Martha. When Jesus rose Lazarus from the dead, he accepted the hospitality of Lazarus’ sisters, Mary and Martha. The sisters had very different personalities, but Jesus respected each of them. Martha was bossy and stressed out toward he sister, and Jesus gently corrected her, pointing out that Mary was devoting herself to his own teachings, which was commendable. He did not speak down to either woman, but regarded them as peers. One of the most commonly misinterpreted verses in the bible is Ephesians 5:22, “Wives, submit to your own husbands.” Historically, this verse has been skewed in favor of misogynistic ideals to support husbands in the seat of absolute control over their wives. This ideal has been abused heavily during several different periods of history, which most of us are already familiar with. During the second half of the 20th century, as misogynistic ideals gave way to feminism and equal rights movements, this notion was held under heavy scrutiny, and it was found by scholars and theologians alike that this verse was actually speaking of a reciprocal treatment. The full verse goes on to describe that a husband and a wife must submit to one another. The bible describes the relationship between a husband and a wife as one where each partner must fulfill the other’s needs. And although they are different types of needs, they are equally valid and equally protected by God’s plan. Outside of a husband and wife relationship, men and women are described in the bible as both having equal access to God. Men and women both have a full identity in God outside of marriage. When marriage is added to the situation, and a husband and a wife naturally come to one another to have certain needs met, their needs are similar but not at all identical. The bible describes women as needing a significant amount of affection and protection from their husbands. The bible mentions nothing about women needing men to do their thinking for them or to make them whole as people in anyway. They need affection because they have a need to feel adored and precious to their husbands, and they need protection as an extension of that affection, to know they are so loved by their husband that he would lay down his life for them. Reciprocally, men need to feel that their perspectives, contributions, hearts and minds are respected and cherished by their wives, which allows them to properly care for their wives by knowing they take their perspectives seriously. The bible is frequently sited by Christians as a depiction of what gender roles were meant to represent. The bible is full of not only examples of men and women interacting under God’s plan, but also scripture about what men and women should be to one another. The more narrow-minded faction of people who live by scripture do so ignorantly, without understanding its meaning. They refer to biblical principles that have been skewed in favor of some kind of bias in order to perpetrate a gender role that comes from their personal culture instead of the bible. Upon examining what is true and what has been skewed, one comes to a much clearer picture of what gender roles in the bible look like. The lie that the overbearing, dominant and largely misogynistic culture in North America would have people believe is that the bible supports the notion that men are greater and women are lesser. People who hold this notion to be true manipulate verses in the bible to inform others that women are vain, mislead and impressionable, and must therefore submit and defer to men in all situations. Many cultures, both contained to North America and across the globe, have found ways to try to validate this sentiment through use of the bible. However, when one takes a scholarly look at the content in the bible, one will find a very different set of values described there. 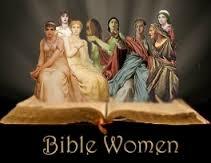 The writers of the bible esteemed women, not for being good wives, but for being faithful servants of the Lord. The bible is full of examples of Godly women who took steps of courage to defend God’s commandments, to other women, to the public and even to (gasp) their husbands. These examples do not portray a man knowing best and a woman following his direction. They depict women with hearts and minds that belong to God and serve as examples to all people, regardless of gender, of how to walk in faith.